Digital learning Specialists & Technology Teachers are challenged with keeping their curriculum relevant to the needs of the 21st century student. Our students’ immediately recognize the benefit these skills bring to their ability to communicate in today’s technology driven environment. On a daily basis I see students utilizing the range of technology resources to support learning goals of teachers of all content areas and recognize that these students are acquiring skills which will serve them well into their educational future. The effectiveness of what we bring to students in the classroom is based on the design of instruction when using technology. The needs for elementary aged students to explore tools and develop an awareness of their applications to their learning requires a different approach than the more targeted subject area skills important to develop research and project creation skills as students move in the middle and high school levels. Curriculum development in Digital Learning involves a careful selection of technology applications and strategies for maximizing students learning experiences with digital tools. Collaborations with content area teachers and the ever changing landscape of technology resources challenge the Digital Learning team to refine student skills with technology while also enabling them to analyze, evaluate and create with modern tools. 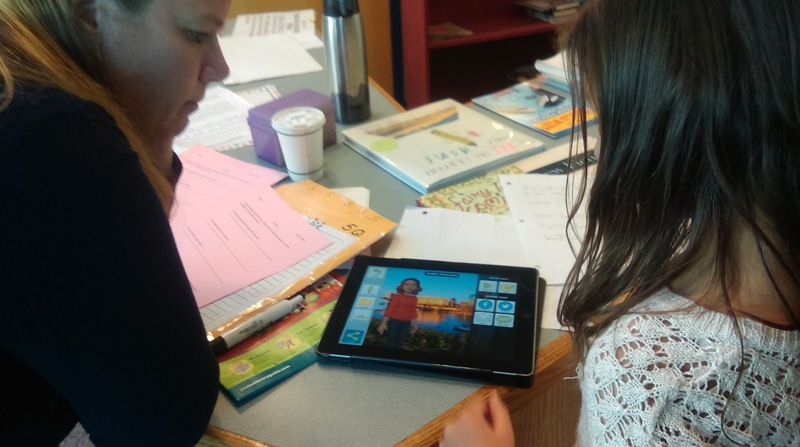 In North Reading, content area teachers are supported with Digital Learning Specialists who provide technology skills and their assimilation of these tools into the classroom. The Specialists also bring a specific technology curriculum content to each of three elementary schools. The design of the instruction impacts the how and why students learn as much as the tools themselves. Staying flexible and responsive to the changes that technology can bring to the learning landscape and the world at large. I would like to outline some of the essential areas that Digital Learning touches upon across grade levels that will serve students well into their future. These learning opportunities are constructed from a curriculums focused around essential skills and skills that carry beyond the tools. We live in world which requires a range of skills to succeed, and these skills are integrated into instructional approaches for students to learn with technology. Students with technology in their hands become more responsible. Technology helps students be more responsible for appropriate communication and to take more control over their own learning. Students can seek out feedback and improve their ability to listen and clarify their learning. The resourcefulness that technology enables students to develop allows them to be self-directed with their learning and define their own goals and to create and curate their own content. Learning is now more tool oriented and student success is weighed increasingly more on the ability to access and disseminate information from sources which are in ever increasing numbers moving to web platforms. Supporting students in acquiring these skills prepares them for skills necessary in higher education and develops their ability to adapt to the constantly changing environment which requires validating resources. As our nation becomes increasingly more technology-dependent, it becomes even more necessary that to be successful citizens, students must learn to be tech-savvy. When is readily available in the classroom, students access the most up-to-date information quicker and easier using mobile technology and robust research databases. The demand to keep students skills up to standards in the areas of computer science, robotics, digital learning and digital citizenship is a day and day out process of identifying the tools, software, applications and instructional methods to meet students ever increasing needs. Ensuring that educational technologies are thoughtfully integrated into teaching and learning enhances student outcomes and provides new opportunities for students in their classrooms now and in their future endeavors. Flipped Classroom: What Is The Flipped Classroom? "@edutopia: How to match an #edtech tool with a learning goal: https://t.co/JOxmKrD7sv. #edtechchat https://t.co/7HkJgmihgx"